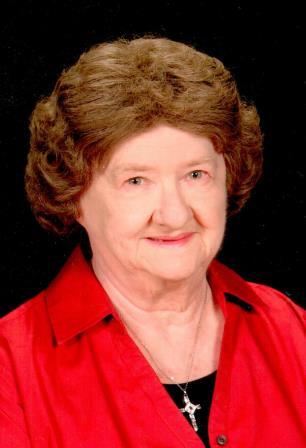 Elinor M. (Kahle) (Hale) Tietz, 84, of Winona, passed away on Saturday, April 13, 2019 at her home. Elinor was born October 11, 1934 in Belle Plaine, MN to Richard and Lillian (Kritzel) Kahle. She grew up in Arlington, MN, later moved to Cokato and Pine Creek, MN. She graduated from Central High School in 1952. She attended Business College, where she graduated with honors. In 1963, she married Nathan Hale. They lived in Winona and had 4 children. They later divorced. In 1975, she married Raymond Tietz, and he passed away in 2008. She was a member of St. Martin’s Lutheran Church. She was also a member of the Winona Women’s Bowling Association for many years and achieved her goal of becoming a member of the 600 club! In her early years, she enjoyed dancing, roller skating, and bowling, and later enjoyed fishing, darts, bingo, word puzzles, watching the Minnesota Vikings, and spending time with her grandchildren. She is survived by her children, Monica (Thomas) Konkel, Michael (Tracey O’Brien) Hale, Mitchell (Jan) Hale, and Marshall (Stephanie Kamrowski) Hale; 12 grandchildren, 6 great-grandchildren, 2 step-grandchildren; brother, Richard Kahle; sister, Dorothy Henderson; nieces, and a nephew. She was preceded in death by her parents, husband, Ray; brother, Robert; sister-in-law, Joany; brother-in-law, Cecil; and nephew, Joseph. Visitation will be held from 11 AM until the funeral service at 1 PM on Monday, April 22, 2019 at Watkowski-Mulyck Funeral Home, with the Rev. Richard A. Moore officiating. Burial will be in Woodlawn Cemetery. Online condolences or memories may be left for Elinor’s family at www.watkowski-mulyck.com.